There is a universal truth that when you look good, you feel good, and you deserve to feel your best self. Confidence is a beautiful thing. Through procedures that rejuvenate skin and slow down the aging process, East Hill Medical can give you the boost of confidence you’re looking for. We can do this through affordable options that offer easy maintenance without ever having to perform plastic surgery. Benefits of aesthetic treatments offered at East Hill Medical do not stop with physical appearance. Some procedures such as B12 injections improve the health and wellness of your body while boosting energy levels and increasing metabolism. Laser treatments vary by individual need and condition. They can help with anything from long term hair removal to the removal of tattoos and unsightly or painful veins. East Hill Medical offers a variety of treatments suited to meet your specific needs and desires for long lasting beauty and wellness results. Regardless of treatment, be sure to care for your skin by avoiding long exposure to direct sunlight. Whenever you do go in the sun, be sure to wear that sunscreen! Eliminate problematic fatty tissue with non-invasive body contouring. Schedule a free consultation with East Hill Laser & Aesthetics. 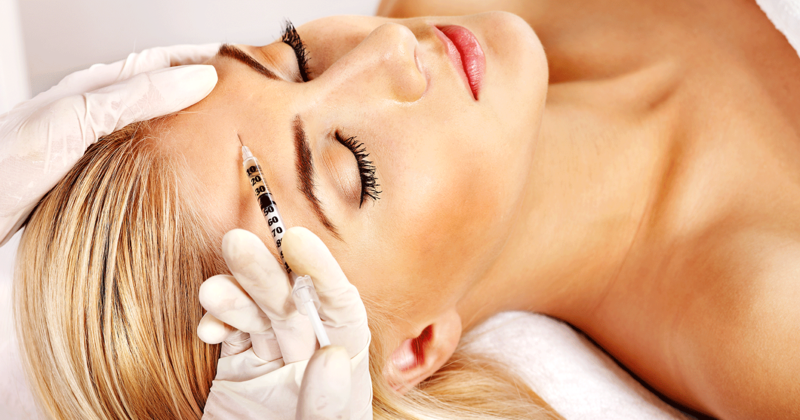 Skin Rejuvenation procedures are designed to combat the effects of aging and damaged skin. Non-abrasive and non-invasive, IPL Photofacial technology is ideal for anyone showing signs of premature aging or sun-damage. Electrolysis, Laser & Waxing to semi-permanently or permanently remove unwanted hair. Remove Spider Veins, Varicose Veins and Venous Malformations! Laser tattoo removal is the safest, most effective, noninvasive method for removing unwanted ink from the skin. We utilize the advanced Astanza Revolution Q-switched Nd:YAG laser to shatter ink and erase any traces of tattoo regret you may have. Ask about our Vitamin B-12 injections for more energy and a metabolism boost! Toenail fungus is a very common symptom that is experienced in as many as 10-15% of American adults. Toenail fungus, clinically named onychomycosis, is an infection of the nail and nail bed that alters the appearance of a nail. Toenail fungus infections usually develop from moist environments and often prevent people from feeling comfortable wearing open toed shoes. ZERONA treatment is a proven way to lose an average of 2.75-9.75 inches in just a few weeks. The cold laser technology used by Zerona is a painless procedure that allows clients to reduce inches from many areas on the body including waist, hips, thighs, knees, ankles, chest, arms, and back. Zerona is the first body-contouring treatment to use non-invasive methods to target excess and unwanted fat. As a chiropractor, Kevin Hogan D.C. has been working with patients struggling with back pain and other ailments, some attributed to carrying excess weight. Mixed with a healthy lifestyle and exercise, ZERONA is an excellent supplement to achieving a slimmer, healthier physique. Unlike liposuction, gastric-bypass and other surgical procedures, ZERONA patients are never injected or cut – in fact most feel absolutely nothing! ZERONA patients sit back, relax and let the laser do the work. Verjú is on the cutting edge of non-invasive body contouring. 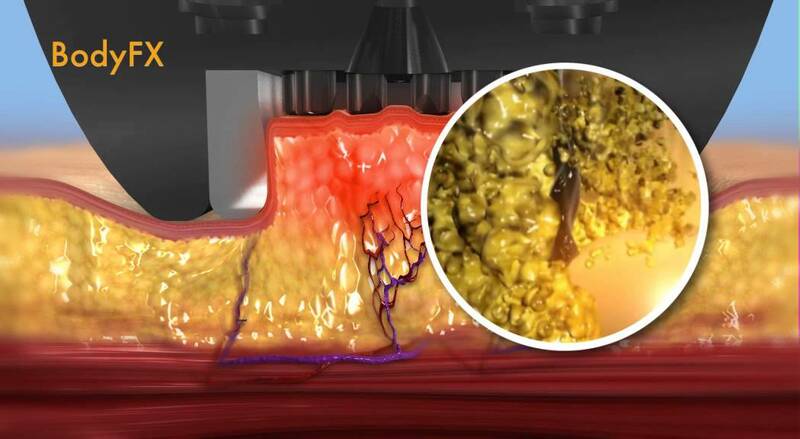 This completely painless laser treatment system penetrates the skin to treat hypertrophic adipocytes while increasing dermal collagen and stabilizing the fibrotic septae collagen. Verjú prompts the release of fatty lipids from within fat cells. These lipids then become free fatty acids that are used as energy in the cardiovascular system. This means energy is being used rather than stored in fat cells. Verjú offers critical advancements in concurrent body contouring and cellulite treatment. BodyFX is a non-invasive treatment that targets problematic fatty tissues for body contouring. BodyFX uses Radio Frequency energy and a vacuum to treat cellulite and uneven fat irregularities. The Radio Frequency provides energy that tightens the skin from the surface all the way down to the fibrous attachments that result in the appearance of cellulite. 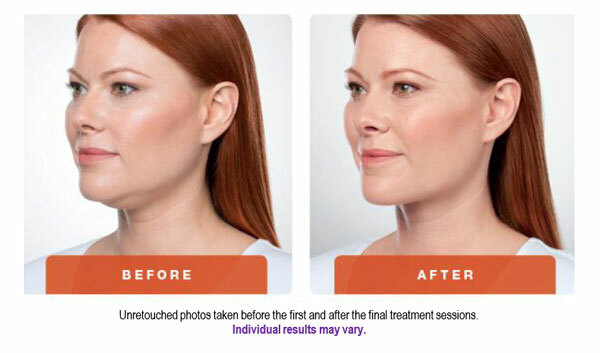 The BodyFX procedure releases high energy bursts that disrupt fat walls, causing them to burn away and disappear. 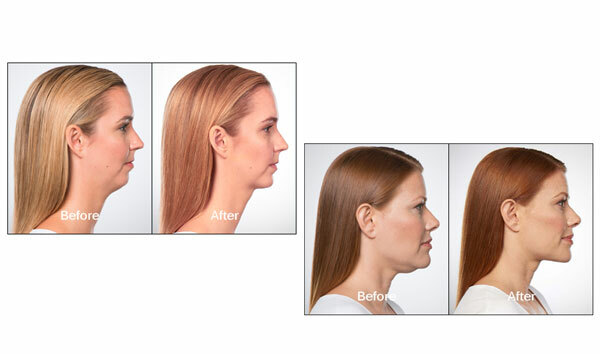 KYBELLA® is an FDA-approved prescription medicine that destroys fat cells under the chin. Submental fat, more commonly known as “double chin,” may be caused by factors other than excessive weight. Genetics and aging may play a large role in causing unwanted fat under the chin. KYBELLA's® active ingredient is synthetic deoxycholic acid. Deoxycholic acid is a molecule that occurs naturally in the body and aids in the breakdown and absorption of fat cells. When KYBELLA® is injected into the fatty area beneath the chin, fat cells are dissolved, reducing the fullness under the chin. Once these fat cells are gone, they can no longer accumulate fat. This means you will not require further treatment once you have reached your desired aesthetic appearance. 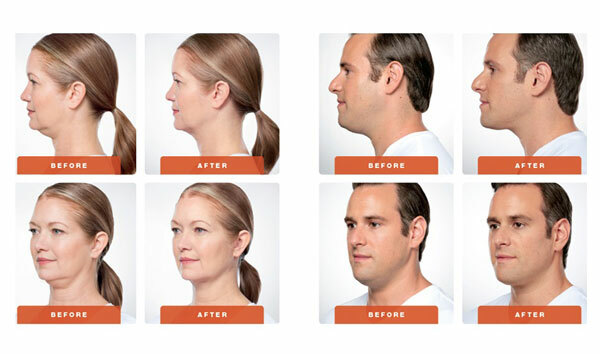 Before starting treatment with KYBELLA®, one of our clinicians will perform an examination of the area under your chin to determine if this product is right for your needs. BOTOX is commonly used to relax facial muscles that may cause unwanted appearances such as wrinkles, lazy eye, crows feet, and frown lines. It may also be used to treat excessive perspiration in the underarms. BOTOX is used for medical treatment in symptoms such as overactive bladder, headaches in adults, and severe muscle stiffness. Forma treats wrinkles by stimulating the formation of new collagen, improving the skin's elasticity for long-lasting results. Using Radio Frequency currents to flow between electrodes to provide a thermal experience without hot spots or undertreatment. Fractora targets Bipolar Radio Frequency energy to selectable depths of the skin. Fractora scaling treatment depths are possible with customizable fractional energy, used to improve superficial skin tone problems to deep textural issues. Turning-back time and the damaging effects of aging and the Sun have never been easier and safer. A non-surgical option is now available here in the heart of East Hill. Using safe and FDA approved “state of the art” equipment to achieve the best results in Photofacial treatments, hair reduction and improving acne conditions. Photofacials are performed by highly trained and certified staff using the KONA System Laser, Light Heat Energy (LHE), which painlessly emits multiple wavelengths of light and gentle heat to penetrate all levels of the skin to improve tone and texture. Quick and effective, Photofacials often take no more than thirty minutes, which leaves you with plenty of time to show off your healthy and more youthful appearing skin. IPL Photofacials & Skin Rejuvenation procedures are designed to combat the effects of aging and damaged skin. Non-abrasive and non-invasive, IPL Photofacial technology is ideal for anyone showing signs of premature aging or sun-damage. IPL Photofacials & Skin Rejuvenation can correct or erase age spots, freckles, uneven pigmentation, rosacea and flushing. 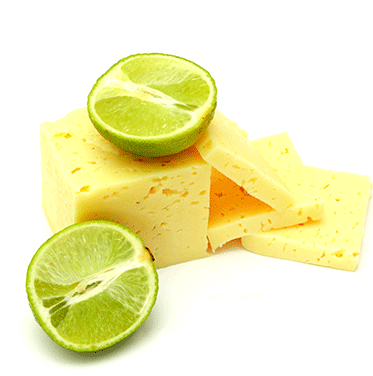 It is used to reduce the appearance of mild acne scars and fine lines and wrinkles. The full face, neck, chest, shoulders, arms and hands may be treated and there is little to no down-time. For best results IPL Photofacials & Skin Rejuvenation are completed in a series of treatments. Prices vary according to body area being treated. We offer a COMPLIMENTARY CONSULTATION to find out if IPL/LHE Photofacial & skin rejuvenation is right for you. There is a Better Solution for Removing Unwanted Hair You may be suprised to learn that virtually your entire body is covered with hair. Because most of this hair is fine and pale, it ususally isn't visible to the naked eye. Laser hair removal is a more effective solution. 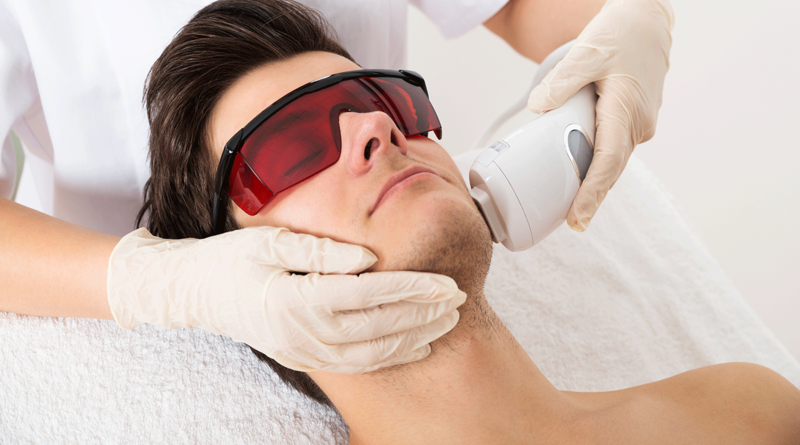 The High Speed LightSheer DUET uses state-of-the-art dode lasers with vacuum-assist technology to remove unwanted hair and with greater speed and comfort than other methods. The High Speed LightSheer DUET is a laser that produces a larger beam of highly concentrated light. The light emitted is well absorbed by the pigment located in the hair follicles. During the procedure, the laser pulses for a fraction of a second, allowing the hair to absorb the light and heat up. As it heats up, the hair shaft and bulb are damaged which significantly impedes its ability to re-grow. And with the large spot size, the LightSheer DUET treats numerous hair follicles simultaneously, making the treatment much faster than traditional laser hair removal alternatives. The LightSheer DUET offers your physician two handpiece choices depending on your needs. The LightSheer High Speed handpiece uses breakthrough vacuum assisted technology in combination with diode laser light to allow rapid and comfortable treatment of large areas. A back of legs can now be treated in 15 to 20 minutes, without the need for topical numbing creams. The LightSheer DUET also offers your physician the gold standard LightSheer ET handpiece with ChilTip cooling for smaller areas. The LightSheer DUET allows your phycisian to truly customize treatment for your hair type, skin type and lifestyle. 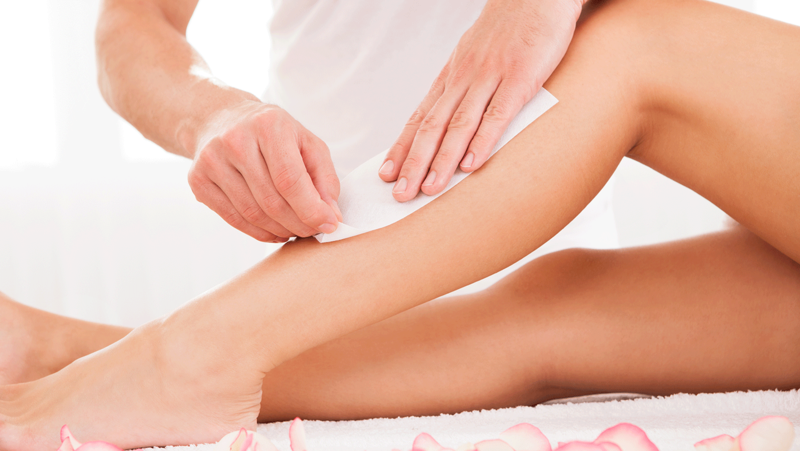 Cosmetic waxing is a semi-permanent form of hair removal. Hair is removed from the root and will not regrow in the area in which it was previously waxed for up to six weeks. The growth cycle for hair is different for each person. A variety of waxing methods are available, and almost any part of the body may be waxed. Areas of the body that are popular for receiving cosmetic waxing include the face, legs, arms, abdomen, back, and feet. Our highly trained estheticians make your waxing experience as smooth as possible with the most minimal amount of discomfort. 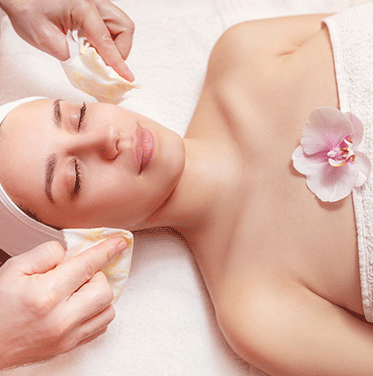 Your cost depends upon the surface area and location of the body that is being waxed. Waxing is an effective way to semi-permanently remove large amounts of hair in one appointment. Anyone may experience unwanted hair growth due to heredity and hormone levels. Not to worry though, because electrolysis could be the solution for you. This method removes individual hairs by targeting the hair follicle with energy produced electricity. Electrolysis may treat almost any area of the body. Although skin may appear red soon after the procedure, this is usually temporary and permanent side effects are not likely. Areas that are commonly treated with electrolysis include eyebrows, face, abdomen, legs, and breasts. Treatments for hair removal last anywhere from 15 minutes to one hour, depending on the person’s request and composition of hair growth. Several appointments for treatment will be necessary to permanently remove hair from an area. The number of treatment sessions will vary per person, but the typical frequency of visits is once per week or every other week. There is usually only minimal discomfort in electrolysis as a hair removal procedure. It is the only permanent hair removal method that is recognized by the FDA and the American Medical Association. This procedure treats malformations in blood vessels when medicine is injected into the vessels, making them shrink. 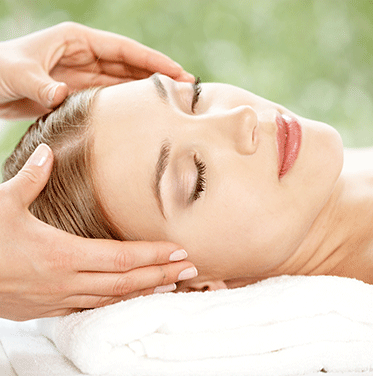 This treatment can also be used for children and young adults. Common uses for sclerosis in adults include treatment of spider veins, varicose veins, and venous malformations. 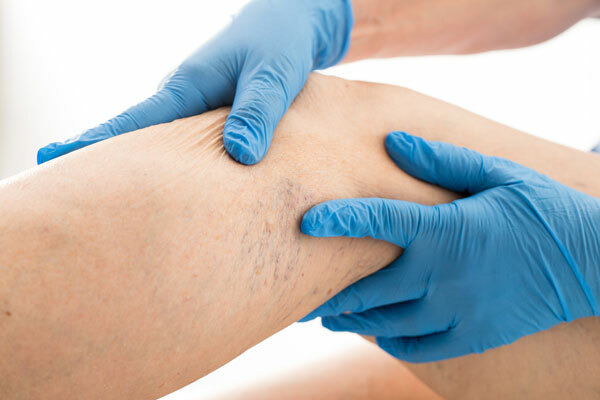 In sclerotherapy, unwanted veins are injected with a solution that targets the vein, causing it to immediately shrink. In the weeks following the treatment, the vein will dissolve as the body undergoes a natural process of absorbing the treated vein. This non-invasive procedure is preferred over laser emanation because the sclerosing solution also closes the “feeder” veins that cause malformations to form. Sclerotherapy often takes place in conjunction with with ultrasound guidance for larger veins. Patients will wear compression stockings or bandages for about two weeks after treatment. Usually at least two sessions are required for significant results, and during the weeks between sessions patients may walk regularly. The procedure itself takes about 10 minutes, and there is minimal downtime to follow. Vascular lesions, also known as spider veins, are common cosmetic skin blemishes that appear on all parts of the body. Vascular lesions are multiple or large blood vessels that form directly underneath the skin. These unsightly veins are normally harmless and can be effectively removed with laser treatment. Vascular lesions are most commonly seen on the nose, cheeks, ears, legs, and ankles. East Hill Laser & Aesthetics uses the Astanza Revolution laser to perform noninvasive laser treatment to successfully remove vascular lesions and reveal clear skin. 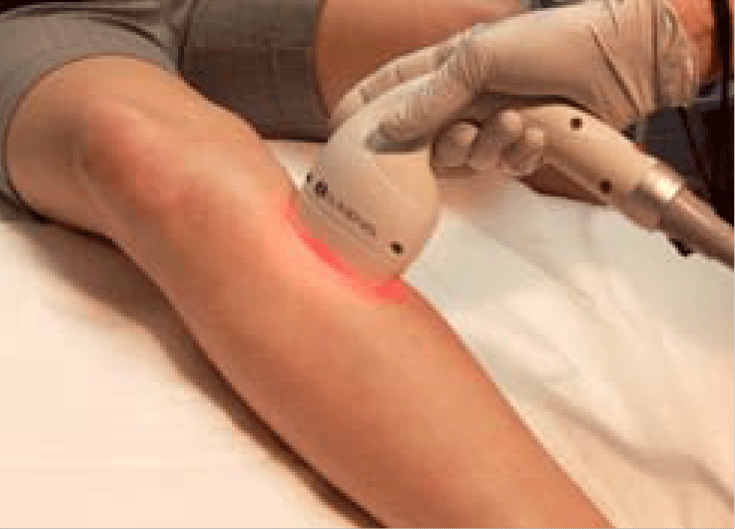 During a treatment, our Astanza Revolution laser emits light energy onto the unwanted vein(s). The veins selectively absorb the light energy while leaving the surrounding skin tissue unharmed. As the vein absorbs the energy, it heats up and collapses, closing off any blood flow. Overtime, the blood vessels fade and disappear. 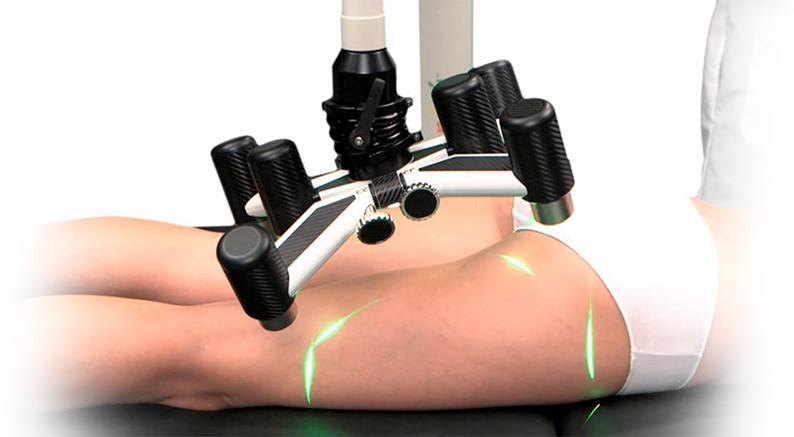 Laser vein treatments work best on smaller veins, typically less than 2 mm wide. Most patients need only 2 to 3 treatments before achieving desired results while many see significant improvement after just one treatment. After treatment, patients may experience slight bruising. As the bruise heals, the spider vein will not return. Patients are encouraged to stay active daily to prevent the appearance of additional lesions. Laser tattoo removal is the safest, most effective, noninvasive method for removing unwanted ink from the skin. We utilize the advanced Astanza Revolution Q-switched Nd:YAG laser to shatter ink and erase any traces of tattoo regret you may have. Laser tattoo removal works by emitting ultra-quick short pulses of light energy onto the unwanted tattoo. The ink particles selectively absorb the laser’s light depending on the wavelengths being emitted, while leaving the surrounding skin tissue unharmed. Immediately upon absorption, the trapped ink particles shatter into tiny fragments. Over the weeks following a treatment, the body’s immune system flushes out the shattered ink particles. After a series of treatments, you will see your tattoo gradually fade more and more until no ink is visible. 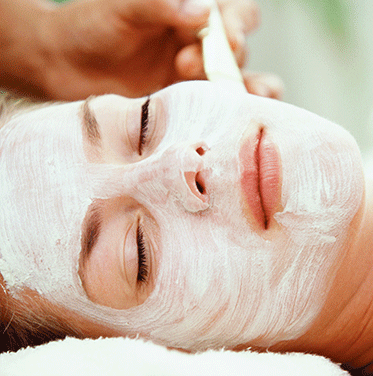 This facial helps increase circulation and stimulates the skin. It can also help slow down premature aging by custom-targeting your skin type. Deep cleanse the skin, remove toxins caused by pollution, grease and dirt found in your everyday environment. Preventative treatment starts now. 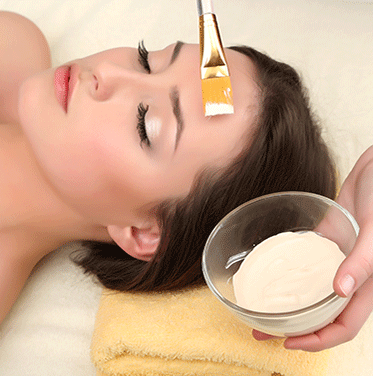 Microdermabrasion is an excellent method of exfoliating or removing dead skin cells on the surface of the skin. Dead skin, oils, and dirt left on the skin can cause unsightly complexion problems. 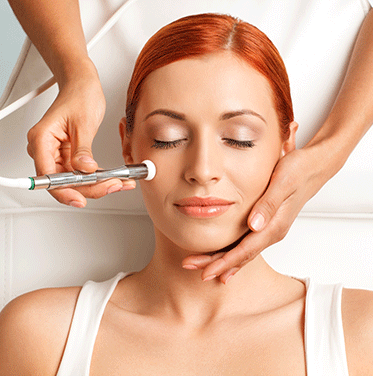 Diamond Microdermabrasion removes unwanted dead cells and stimulates the production of healthy new skin cells. The procedure also reduces fine line, age spots, blemishes and minor scarring. A COMPLIMENTARY CONSULTATION is required for physician grade peels. For best results, peels should be performed in a series of treatments. A Lactic Peel is ideal for patients who want to remove dark spots due to sun exposure or natural aging, diminish wrinkles and improve texture. The regular use of lactic acid may enhance your skin's absorption rates by removing the particles that may block optimum absorption, helping you get the most out of your other skin care treatment. Mandelic Acid is ideal for Acne, sun damage and Rosacea. Derived from bitter almonds, it has a number of benefits for the skin. The molecular structure of mandelic acid is larger than better known alpha hydroxy acids, such as glycolic acid and lactic acid. This means it takes longer to penetrate the skin's surface and is much less irritating. For teens suffering from hormonal acne or unbalanced skin, give them the gift of guidance. Let us show them the proper way to care for the skin while giving them a head start on correcting their current conditions. In addition to a prescription for an appetite suppressant a Vitamin B-12 injection may also act as a dietary supplement. 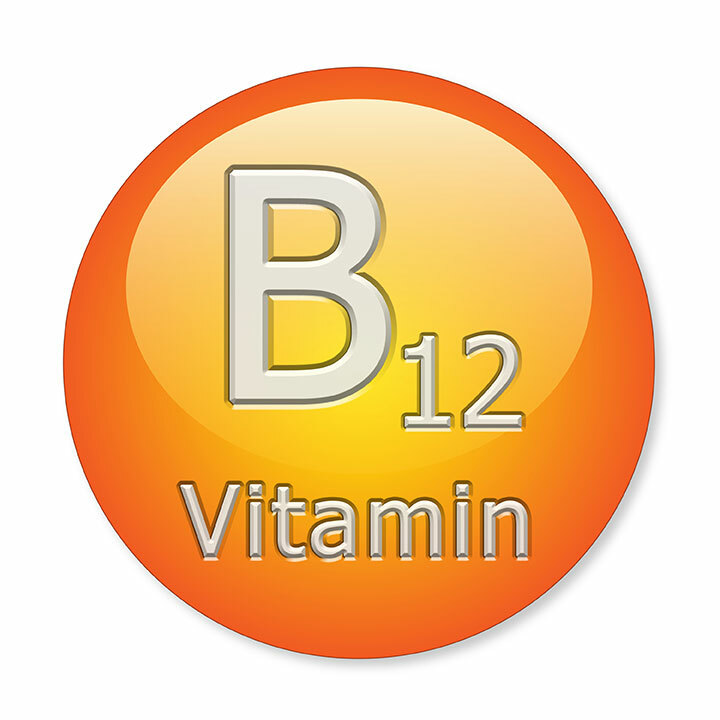 When injected, Vitamin B-12 may give you more energy and boost metabolism. When combined with a healthy lifestyle such as eating healthy food in appropriate quantities and exercising regularly, it helps the body use fat and carbohydrates for energy while making new protein. The dosage of the injections is based on your medical history and response to the initial treatment. 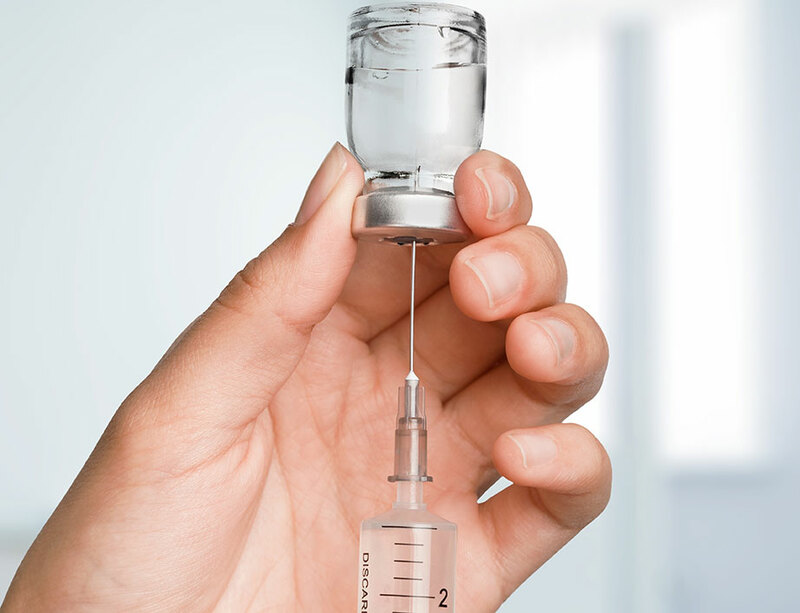 The injections may be given daily at the beginning of treatment, and medical conditions may require you to receive injections at a certain rate. Toes with fungus often look darkened, thickened in appearance, dry, and brittle. Laser treatment for toenail fungus at East Hill Laser & Aesthetics helps kill infection at the root and help you regain confidence with showing your bare feet in public. Due to the deep location of the infection, topical creams and other methods are usually ineffective. Laser treatment with our FDA-cleared Astanza Revolution has shown a significant nail plate clearance in 95% of patients after just one treatment. During treatment, our Astanza Revolution laser pulses light energy over the nail in a grid like pattern. Each pulse of light energy safely penetrates through the nail and deep into the nail bed where the infection resides. The light energy heats up and effectively destroys the fungus. Treatments typically last 10 to 20 minutes depending on how many toenails are being treated. The laser is painless and resembles a slight warming sensation. The months following a treatment, a clear, healthy, and fungus free nail will grow. Most patients will see results within the first 3 months of regrowth. For prevention of infection, patients are encouraged to keep toes clean and completely dry and toenails trimmed and clean.